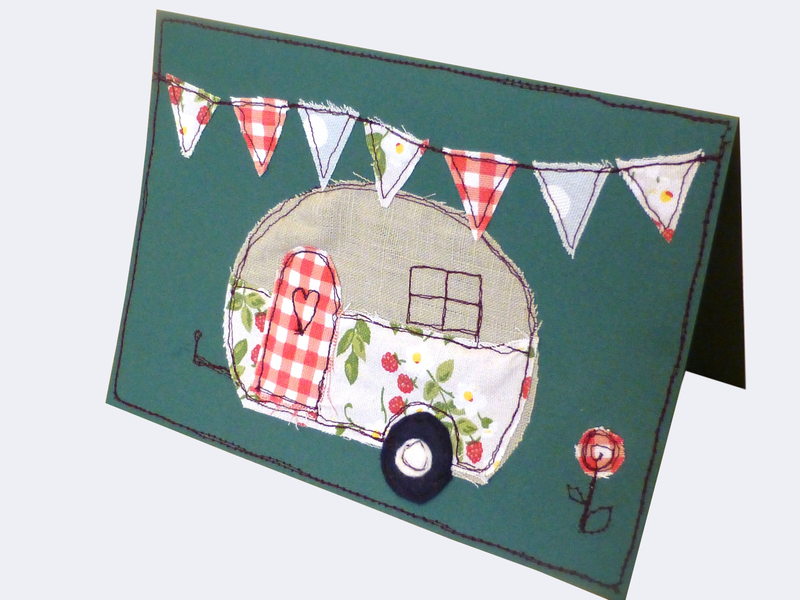 Well here we are, just two days before Christmas and I’m still making a few last minute bits and bobs. With fifteen people and three dogs coming to stay for Christmas, I’ve been hard at it with the food and sleeping arrangements which has meant there has been no time to blog properly I’m afraid. After a lovely pre-Christmas supper for ten, they’re all doing the dishes whilst I sneak out to the office to grab a few minutes on the computer – my last update for a while, I suspect. 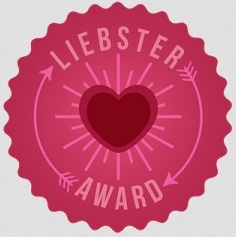 So, this is what I’ve been up to the last week or so…. 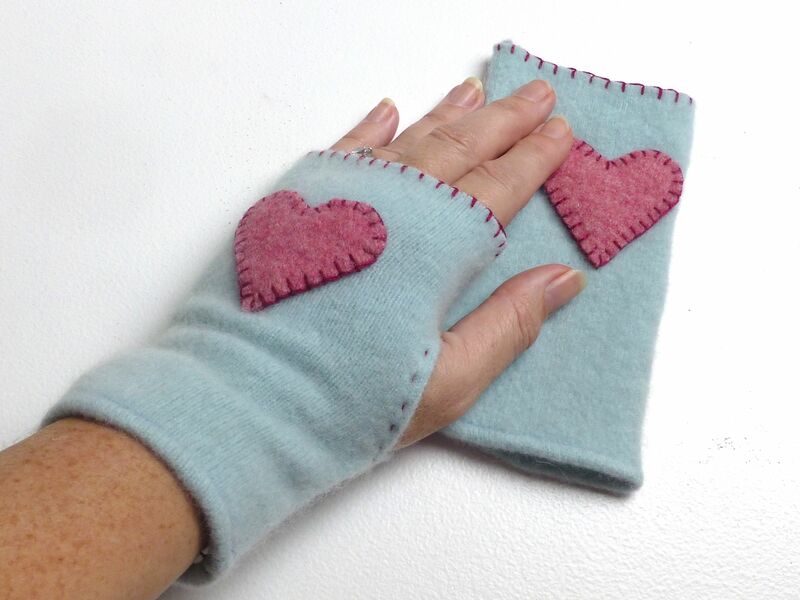 These are the pair of fingerless gloves that went into my #sewingsanta parcel – I had to make these quickly after the pair (that were originally intended to be included) sold on Folksy! 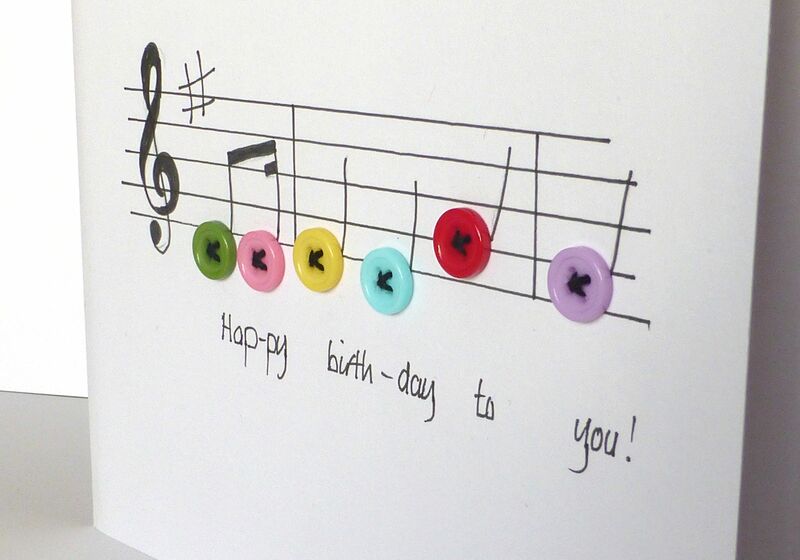 I made this card for another friend who is a music teacher…. 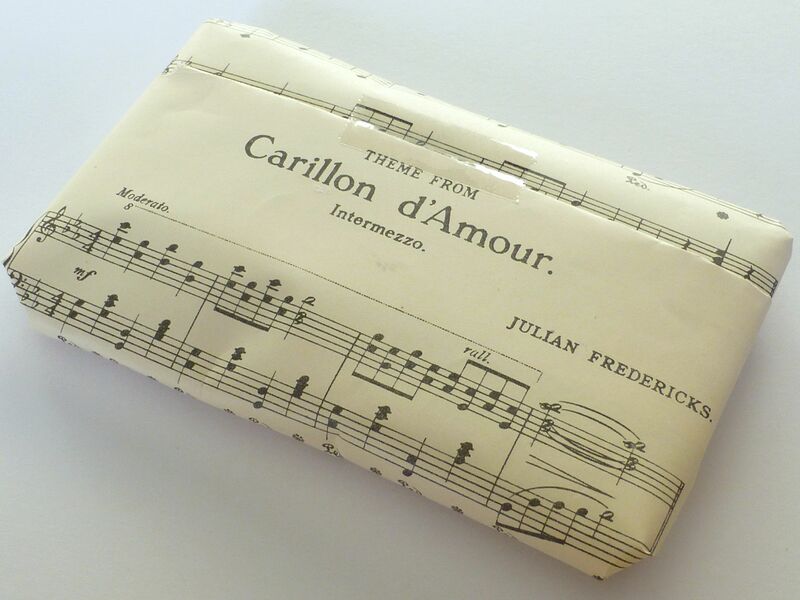 ….and wrapped her present in old music scores that I picked up from a charity shop. Inspired by Tajana’s jumper, I made a scarf for my brother. 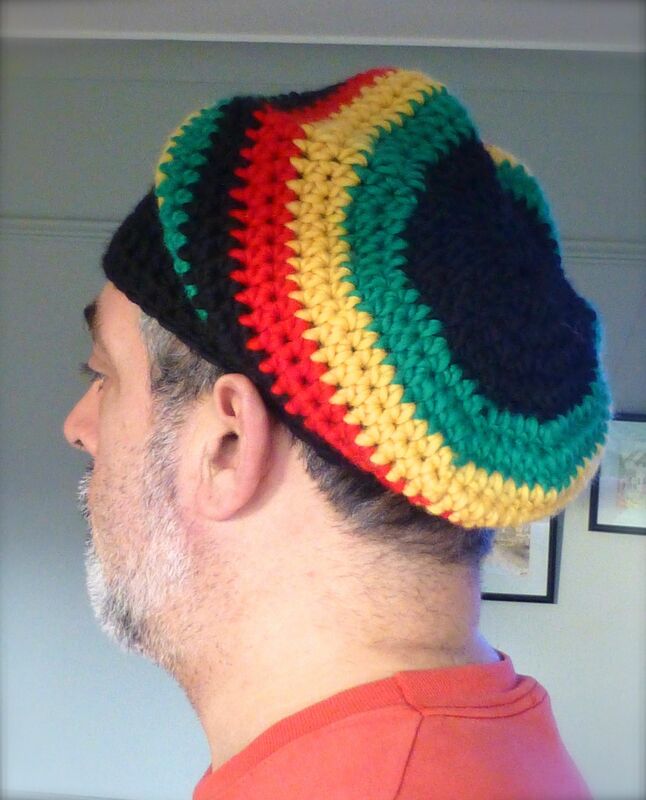 A “Rasta” hat as modelled by my husband but intended for a much younger recipient! 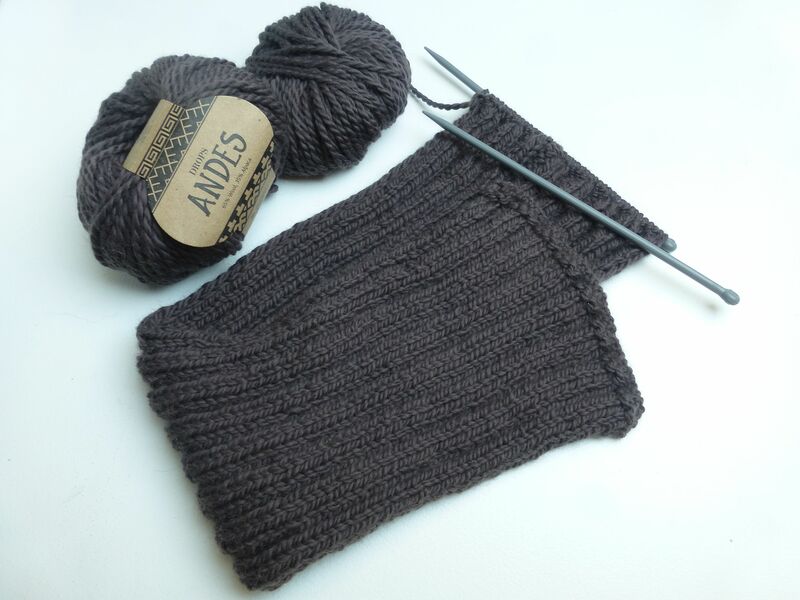 A pair of cashmere fingerless gloves. 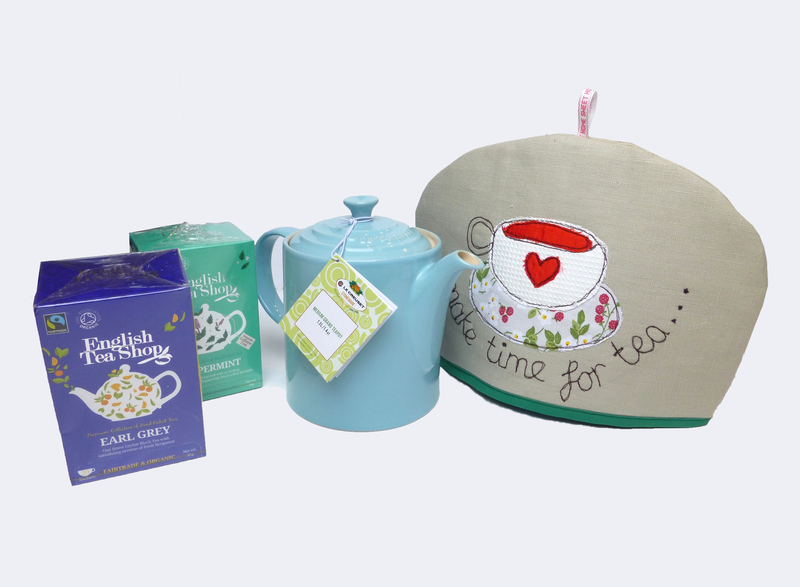 ….as part of a gift including a Le Creuset teapot and different teas. 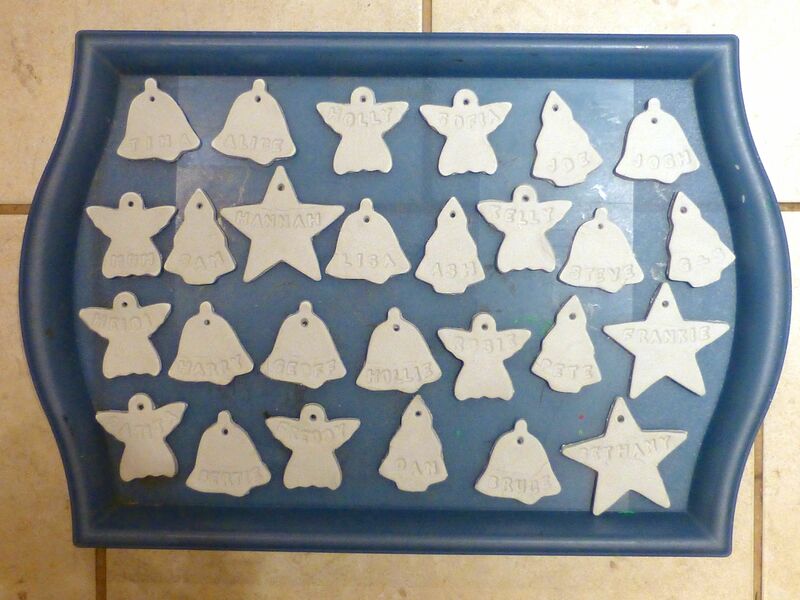 Gift tags made from air-drying clay. I’ve been getting in a bit of a muddle and put it down to the drugs I’m taking for a trapped nerve, but get this: I wrapped up my step-daughter’s present, tied it with pretty ribbon, added a homemade clay gift tag and put it under the tree only to come back to see her present still sat on the table, unwrapped. I have no recollection of picking up a random tea light holder from the middle of the table and wrapping that up instead, so I think my Christmas brain must be addled – and the big day is still two days away! I have visions of people opening their presents to find a soup ladle inside when their real gift is still in the cupboard but hey-ho, I’m not unwrapping them all to check! 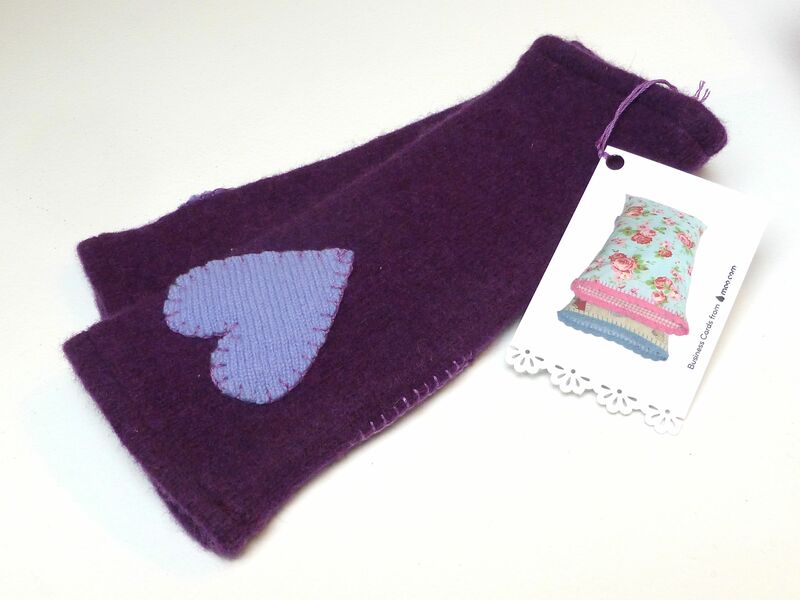 Categories: Crochet, Everything Else!, Sewing | Tags: #sewingsanta, Christmas, gift, present | Permalink. I still have the office to clean tomorrow as it has been designated Sixth Bedroom status for the duration. 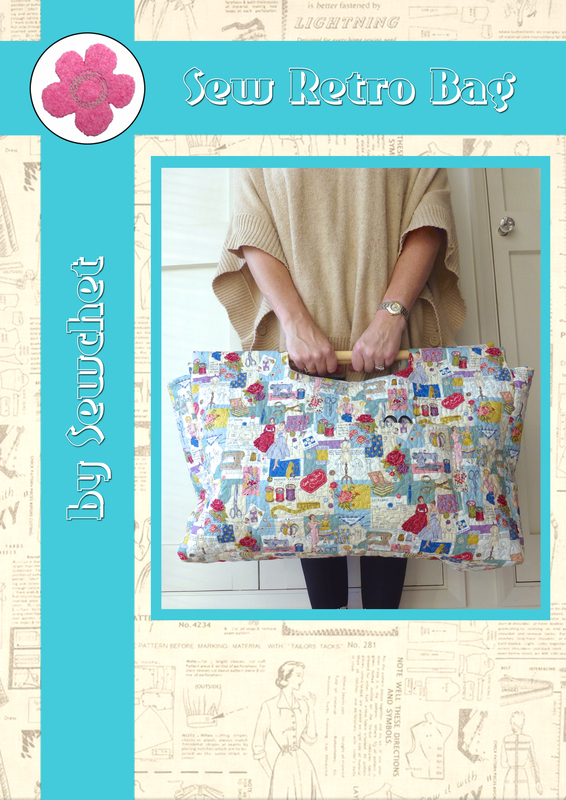 Wishing you a fabulous Christmas – ‘see’ you in the New Year! Blimey, you have been busy. What fantastic gifts! 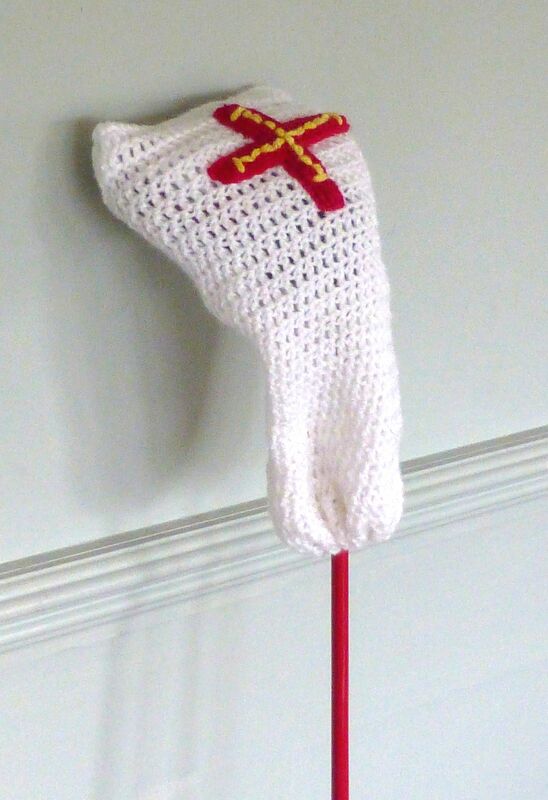 I particularly like the crochet golf club sock! Happy Christmas! I am simply in awe! 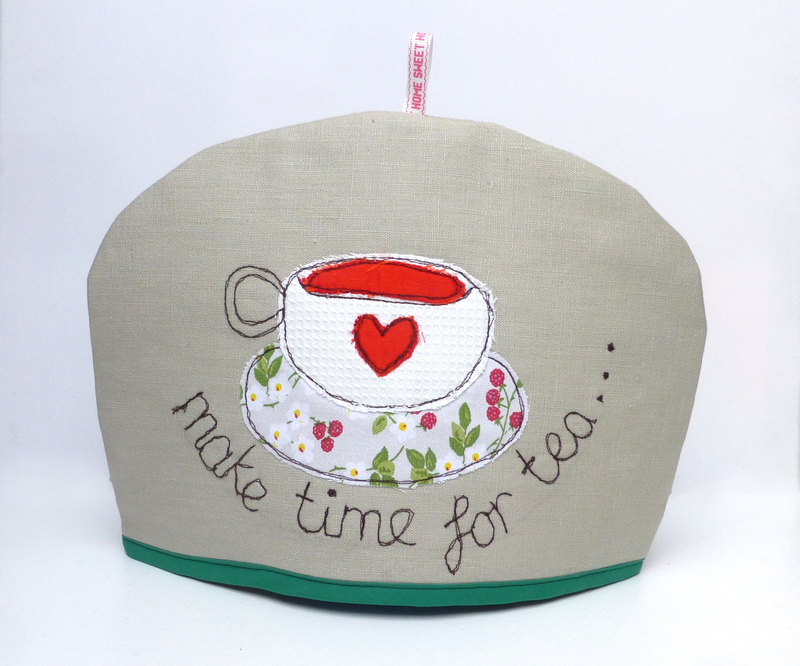 Love your appliqué work. Merry Christmas! You don’t stop, do you?! These are all amazing. 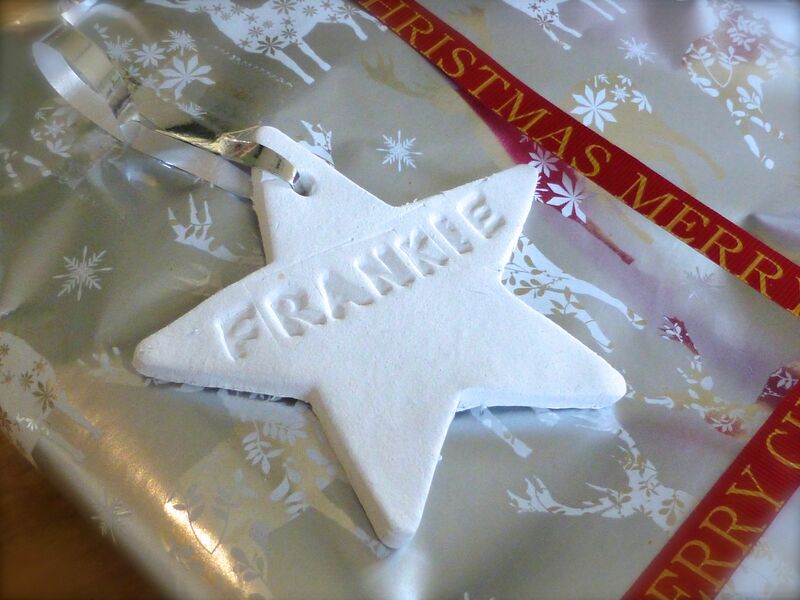 The clay tags are a great idea. The thought and time you put into your gifts is so special. Perhaps dementia has set in early! The funny thing is that six other people were sat at the table and no one said a word as I picked up a tealight holder and wrapped it up! Hahaha they didn’t want to question your random choice of gift! Your story was so funny I found myself telling my mom about it yesterday — hope all gifts turned out to be what they were intended!!! 🙂 One year we mixed up the tags and lots of people got gifts that were NOT intended for them. Funny then, funny still. 🙂 Hope you had an absolutely lovely holiday! Feet up as I type! Wonderful time so far – more guests arriving tomorrow for New Year! 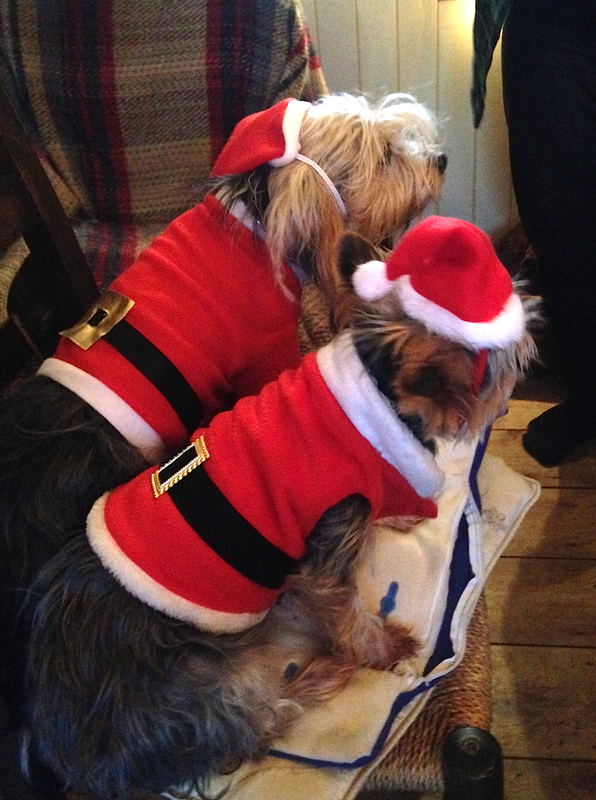 Must finish their Christmas presents this evening…. Wow! I admire all of your talents. Your craftiness and creations are wonderfully inspiring. I wish I had half the energy and talent that you display. I love the picture of your fur babies. Wrapping the wrong thing is something I would do. Especially, if I had much on my mind. I hope your holiday was filled with happiness. Wishing you a “Happy New Year”!